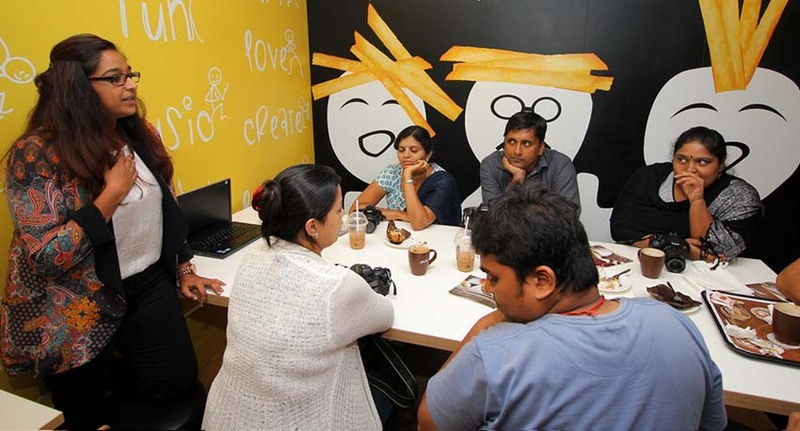 It was a wet, wet day as a bunch of bloggers headed to the newly opened McCafe in JP Nagar, Bangalore. The brightly lit and stylishly designed, refurbished McDonald’s at the JP Central Mall was a refreshing escape from the gloomy, grey weather. 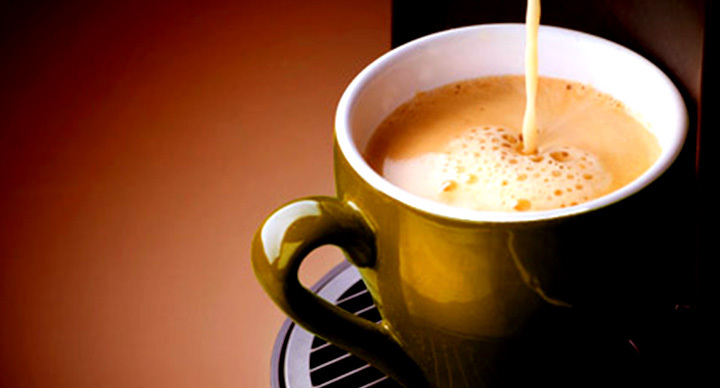 The aroma of freshly brewed coffee that wafted our way as we entered the restaurant, instantly lifted the mood. We were here to meet Teena Khanna, Asst. 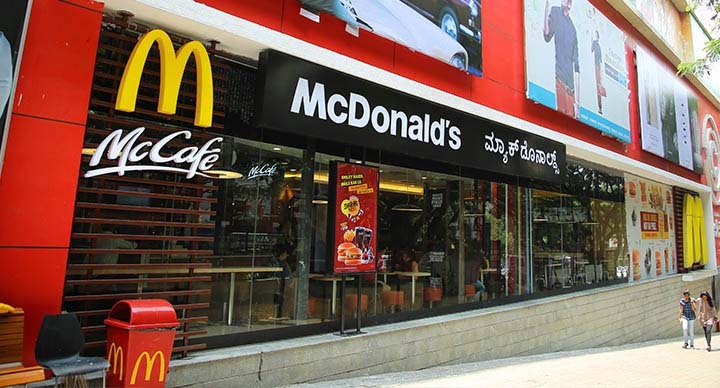 GM – Training, Learning and Development at Hardcastle Restaurants (McDonald’s India – West & South) and learn a little more about McDonald’s extension into a café experience. Teena took us through a quick introduction to McCafe as we sipped on hot coffees and snacked on muffins, cookies and cakes. 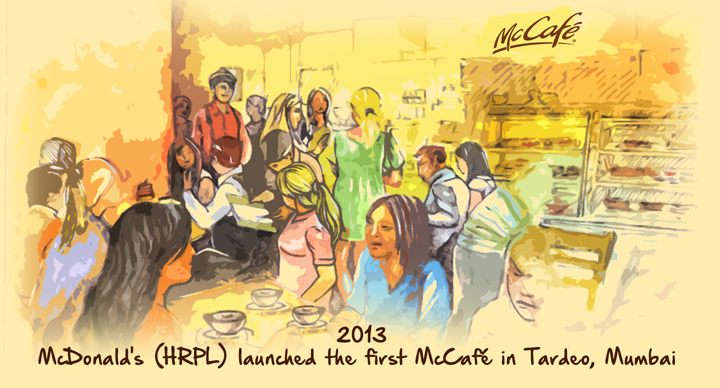 McCafe delivers a premium coffee experience at reasonable prices and prides itself on serving ‘handcrafted coffees’. 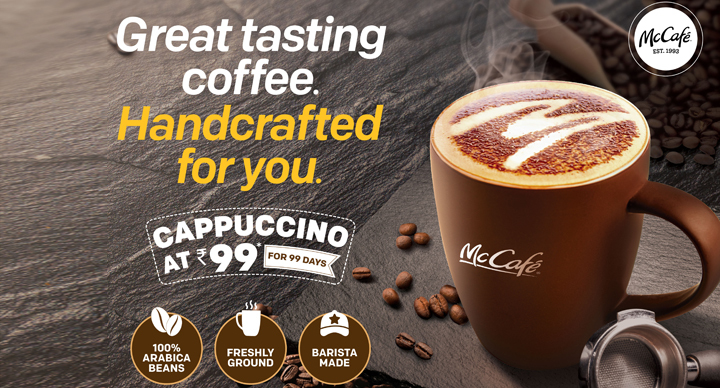 At McCafe the roasted beans are ground on demand, which means every cup of coffee is made from beans that have been freshly ground at the counter, right in front of you! This ensures a superior flavour. 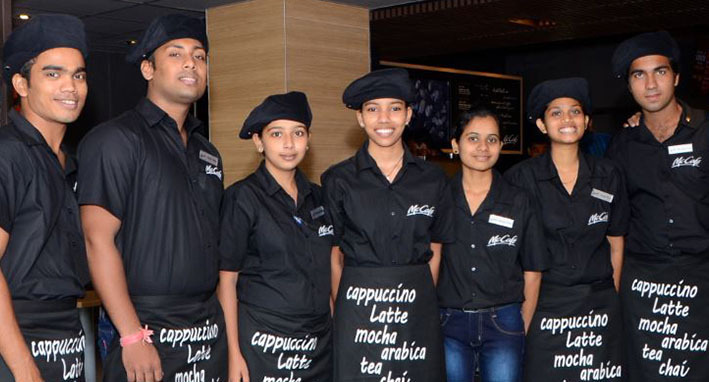 The baristas make an espresso shot, which is the base of all coffees served at McCafe –pressing, tapping and finally steaming the powdered coffee to create a luscious, dark liqueur. Teena incidentally, is also an internationally trained coffee taster who once even had her tongue insured, as do most acclaimed coffee tasters! 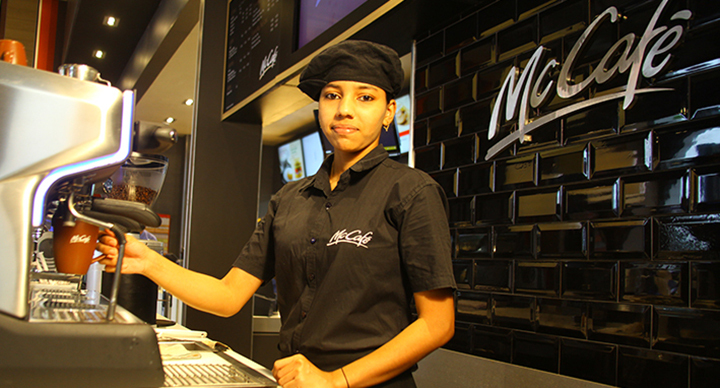 We managed to glean quite a lot of interesting information about the McCafe menu from this meet. For example, the cold beverages range, including some refreshing looking Flavoured Iced Teas, was specially created for India. What’s more, the Flat White, an Australian style cuppa with espresso and milk (no foam! ), could be the ideal choice for the Indian coffee palate, considering we like our coffees piping hot (and without the wasteful froth! ), unlike the more famous Cappuccino! Let’s Brew You A Macchiato!